The Tamar Valley Area of Outstanding Natural Beauty (AONB) team has received initial National Lottery support* for the Tamara Landscape Partnership project. Development funding of £180,000 has been awarded by the Heritage Lottery Fund (HLF) to help the Tamar Valley AONB and its partners progress their plans to apply for a full National Lottery grant of £2.3million at a later date. 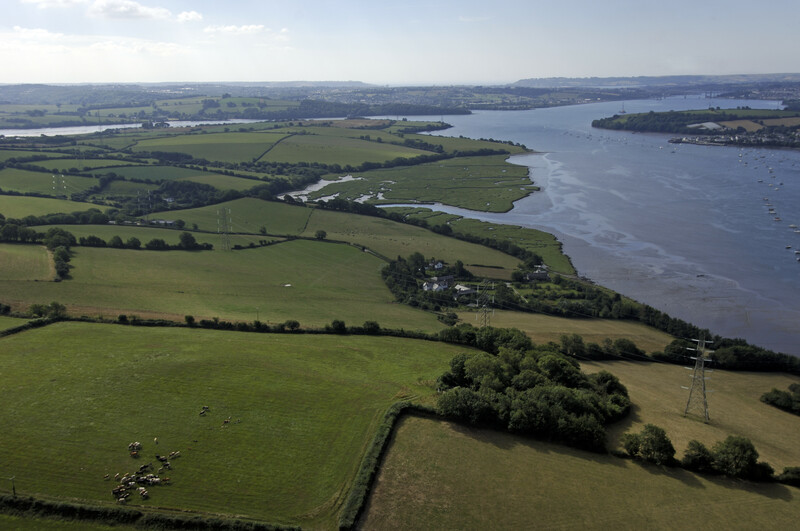 The project aims to provide a brighter future for the Tamar Valley and its communities by making the landscape more robust and less susceptible to a range of pressures, through a programme of 12 individual, substantial projects. Tamara Landscape Partnership will work with farmers and landowners to manage landscapes that are rich in wildlife, as well as cultural and historic heritage; help provide access to those landscapes and promote ways for people to enjoy the landscape whilst improving their health and wellbeing. Over the next 18 months, new staff will be appointed to produce a Landscape Conservation Action Plan, detailing the proposed works for the 5-year delivery phase, issue a number of local contracts to help inform the delivery phase and bring together farmers and landowners. Corinna Woodall, Manager of the Tamar Valley AONB, says: “We are absolutely delighted to have secured initial National Lottery support. This project is all about focusing on the small details that makes the Tamar Valley distinctive and why our communities cherish the area so much… the very reason the Tamar Valley was designated as an AONB in the first place. We look forward to working with our many partners in developing this exciting project further”. Ross Kennerley, South West lead for Woodland Trust, one of the project partners, says; “This is a great opportunity for landowners to work with local communities to secure a strong future landscape for the Tamar Valley. In particular, the Woodland Trust is keen to support the management of existing woodlands, and planting of new woods and trees, as part of a robust future landscape. It will be very important to engage local communities in this work and to see a resurgence in the care we give to those woodlands and trees that frame the landscape of the Tamar Valley. We are particularly excited about making links into Plymouth and seeing how trees and woods create strong links between city and countryside”. Helen Ryan, from Plymouth Community Homes, says; “We think this exciting project is a great opportunity to forge stronger and closer links between the urban communities of Plymouth and the rural areas surrounding it. At Plymouth Community Homes we’re about more than just bricks and mortar, and we look forward to working with our partners in the Tamar Valley to help communities towards a brighter future for the Valley”. The main aim of the Tamar Valley Area of Outstanding Natural Beauty (AONB) team is to protect and enhance the landscape of this special area. It is a partnership of Cornwall and Devon County Councils, South Hams District Council, West Devon Borough Council, Plymouth City Council and Natural England. The AONB team supports the work of the Tamar Valley Partnership – a forum of government and non-government bodies working for the Tamar Valley Area of Outstanding Natural Beauty. Natural England helps protect our finest landscapes – Areas of Outstanding Natural Beauty, Heritage Coasts and National Parks – through legislation. For further details please contact Charlotte Dancer (Information & Communications Officer) on 01822 835030, or email cdancer@tamarvalley.org.ukat the Tamar Valley Centre. Did you know you can hire the Tamar Valley Centre, just 5-minutes’ walk from Gunnislake Train Station, for your meeting or event? Please call for details. To conserve, restore and develop the future resilience of the valleys and rivers, maintaining and enhancing the high landscape quality and sustaining the unique wildlife and remarkable heritage. To inspire people to learn about, explore and get involved and become supporters and stewards of the Tamar Valley. To engage and work with communities, to sustain, understand and care about this unique valley and the river heritage. It is a partnership between Cornwall & West Devon Mining Landscape World Heritage Site, Cornwall Council, Cornwall Wildlife Trust, Country Land & Business Association, Defra, Devon & Cornwall Rail Partnership, Devon County Council, Devon Wildlife Trust, Drawn to the Valley, Environment Agency, Forestry Commission, Friends of the Tamar Valley, Historic England, National Farmers Union, National Trust, Natural England, Plymouth University, Queens Harbour Master Plymouth, Tamar Community Trust, Tamar Estuaries Consultative Forum/Plymouth City Council, Tamar Valley Tourism Association (TAVATA), Tavistock & Villages Development Forum, Tavistock Woodlands Estate, West Country Rivers Trust, West Devon Borough Council/South Hams District Council, Woodland Riders. Additional partners are Devon Biological Records Centre, ERRCIS, Food Plymouth, South West Coast Path, Tamar Grow Local, Tamar Tender Loving Care (TLC), University of Exeter, Woodland Trust. Additional Tamara supporters are Butterfly Conservation, Calstock Parish Archive, Devon Hedge Group, Plymouth Community Homes, University of Exeter/Royal Agricultural College, Poole Farm – Plymouth City Council. HLF Heritage Grants applications are assessed in two rounds. Tamara Landscape Partnership has initially been granted round one development funding of £180,000 by the Heritage Lottery Fund, allowing it to progress with its plans. Detailed proposals are then considered by HLF at second round, where a final decision is made on the full funding award of £2.3million. Thanks to National Lottery players, we invest money to help people across the UK explore, enjoy and protect the heritage they care about – from the archaeology under our feet to the historic parks and buildings we love, from precious memories and collections to rare wildlife. www.hlf.org.uk. Follow us on Twitter, Facebookand Instagramand use #NationalLottery and #HLFsupported.